Melvyn Bragg and his guests discuss imaginary numbers - important mathematical phenomena which provide us with useful tools for understanding the world. Melvyn Bragg and his guests discuss imaginary numbers. In the sixteenth century, a group of mathematicians in Bologna found a solution to a problem that had puzzled generations before them: a completely new kind of number. For more than a century this discovery was greeted with such scepticism that the great French thinker Rene Descartes dismissed it as an "imaginary" number.The name stuck - but so did the numbers. 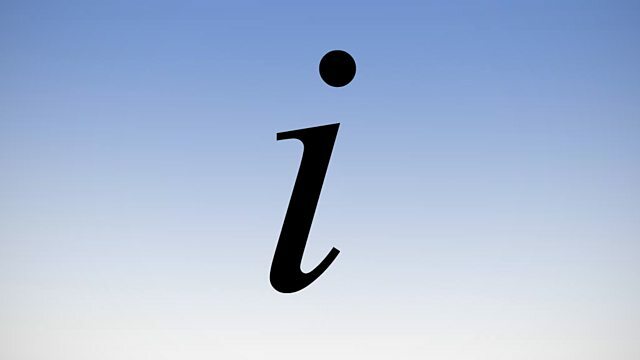 Long dismissed as useless or even fictitious, the imaginary number i and its properties were first explored seriously in the eighteenth century. Today the imaginary numbers are in daily use by engineers, and are vital to our understanding of phenomena including electricity and radio waves. With Marcus du SautoyProfessor of Mathematics at Oxford University Ian StewartEmeritus Professor of Mathematics at the University of WarwickCaroline SeriesProfessor of Mathematics at the University of WarwickProducer: Thomas Morris. Browse the 16th Century era within the In Our Time archive.